Another week in the NFL means more players dealing with injuries. Week 2 was no different in this regard. While this weekend’s action did not disappoint, a few notable stars were added to the injury report. Tight end, in particular, experienced the full brutality of the NFL. With that said, here is what you need to know on the injury front going into week 3. Breaking his foot in Sunday’s win, Greg Olsen will undergo surgery and is looking at a 6-8 week recovery, per Ian Rapoport. It appears Olsen will be back this season, but the Panthers will place him on injured reserve. Olsen is reportedly dealing with a jones fracture. This injury has given other players like Sammy Watkins trouble is the past. Either way, Olsen is looking at a lengthy absence. In shallow leagues Olsen is a drop candidate. After showing some early chemistry with quarterback Deshone Kizer, Corey Coleman broke his hand for the second consecutive year. After undergoing surgery, the Browns have placed him on injured reserve. This will cost Coleman at least 8 weeks of the season. He is not a must hold in redraft leagues. 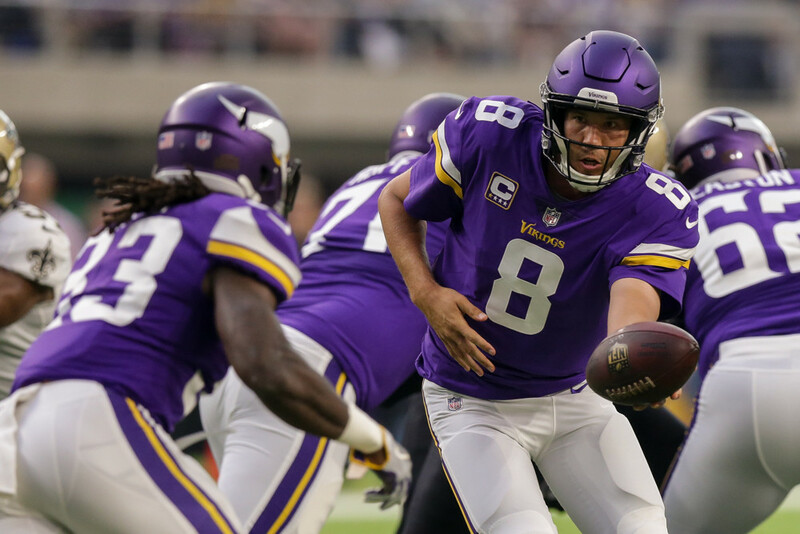 Perhaps the most confusing injury of the weekend, Sam Bradford missed the Vikings’ second game with a knee injury. Initially thought to be damage to his twice repaired ACL, Tom Pelissero of NFL Network reported that Bradford is dealing with a bone bruise. Ian Rapoport reported that Bradford is likely to play week 3, but added that the Vikings truly don’t know. Bradford’s availability this weekend could come down to a game time decision once again. After playing a majority of snaps in week 1, John Brown appeared on Arizona’s injury report with a quad injury and ultimately did not travel with the team for week 2. According to Bruce Arians, it doesn’t look hopeful Brown will play this week. Brown has struggled with injury complications from his sickle cell trait in the past. It is truly unknown when he will be able to return to the field. DeMarco Murray struggled mightily in Sunday’s game before losing work to Derek Henry in the second half. Coach Mike Mularkey described Murray’s injury as hamstring tightness, which has been bothering him since the preseason. For now he is listed as day to day. With Henry performing well in Murray’s absence, the Titan’s may decide to rest Murray for a week, while his hamstring recovers. Jordy Nelson left the Packers’ game early in the first half this weekend with a quad injury. Adam Schefter of ESPN reported that Jordy is 50/50 to play against the Bengals this week. With Randall Cobb looking like he will play, the Packers may let Jordy rest up for the week. However, this injury should not cost him more than a week. The oft-injured Tyler Eifert has found himself hurt once again this weekend. Despite playing a majority of the game, Adam Schefter reported that Eifert is dealing with back and knee injuries. He also noted that Eifert’s week 3 status is in doubt. Eifert has missed a multitude of games across his career. There are no details yet regarding the nature of the injuries, but don’t be surprised if Eifert finds himself on the sidelines this weekend. New England’s star tight end, Rob Gronkowski, scared football fans when he went down with a groin injury against the Saints. While he did not return to the game, Ian Rapoport reported that the injury is not believed to be serious. Gronkowski himself said after the game that he was “good”. While the injury does not appear to be serious, Gronkowski’s long injury history deserves special attention. He should be considered questionable for this weekend’s game until further notice. After a disappointing loss to the Buccaneers, Jordan Howard was seen with his arm in a sling. Howard had been dealing with a shoulder injury prior to the game, so this is not a positive development. For the time being he should be considered questionable with a decision potentially coming down to game time. Although it is unclear when the injury occurred, Jimmy Graham sustained an ankle injury in Seattle’s win over the 49ers. Coach Pete Carroll called Graham questionable for week 3. The nature of this injury is currently unknown, so Graham should be considered day-to-day for the moment. Practice will be important for him this week and his availability could come right down to the wire this weekend.